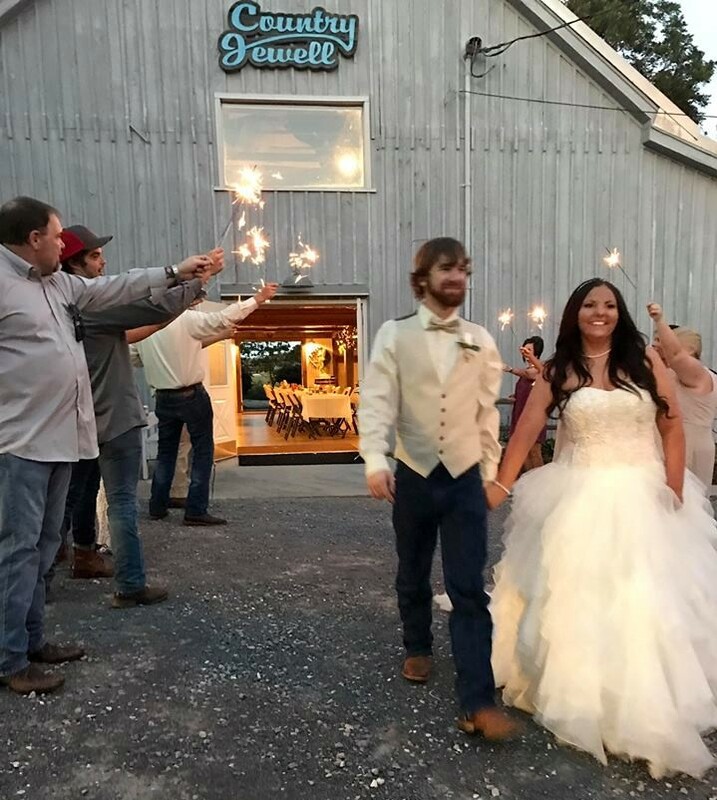 If you are looking for a beautifully scenic wedding and event venue near Knoxville, you need look no further than Country Jewell in Heiskell, Tennessee. It doesn't matter what time of year that you will be hosting your celebration, because our rustic venue is breathtaking in every season and there are plenty of spots, both indoors and out, to host your event. 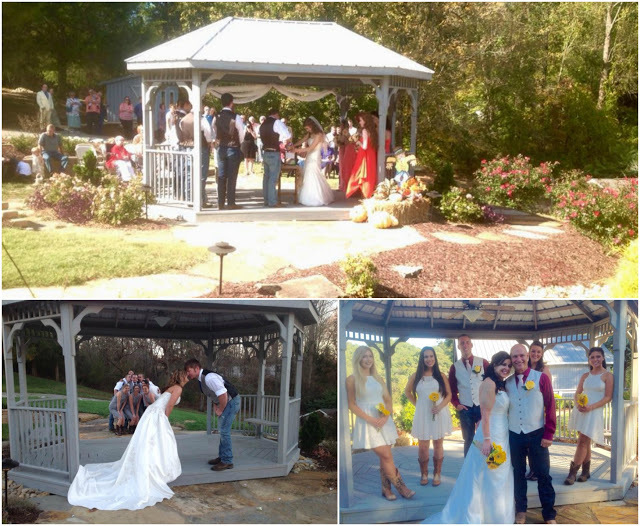 Our timeless wedding gazebo is the perfect place to hold an outdoor ceremony. It is surrounded by lush landscapes, gorgeous mountain views, and all-around natural beauty. 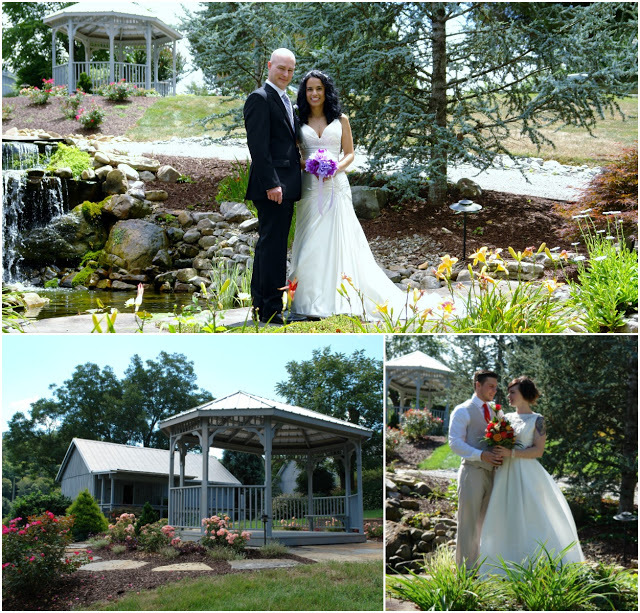 The vibrant colors of each season surround the gazebo, along with meandering streams and a bubbling waterfall. 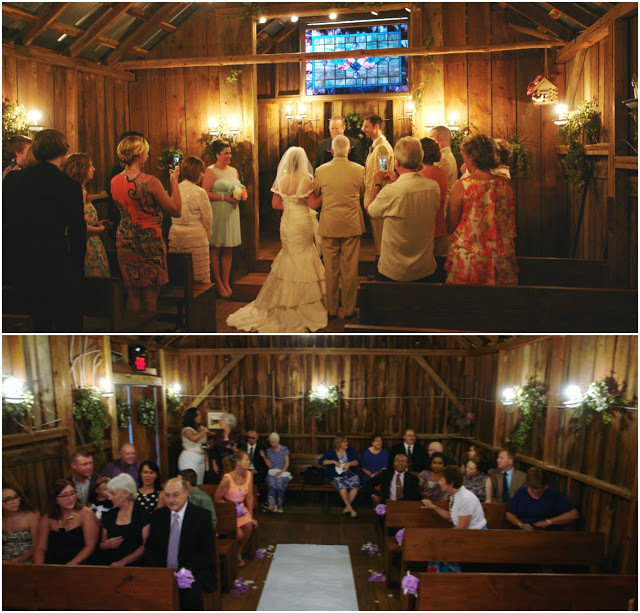 The quaint wedding chapel at Country Jewell was originally an old corn crib built in 1931. We renovated it to turn it into a magical place to say "I do!" During the renovation, we were able to keep the original barn board walls. A stunning Victorian reproduction stained glass panel was added behind the altar, giving the entire chapel an especially romantic ambiance. Standing inside the chapel is reminiscent of being in an old country church with its red oak floors and simple benches. 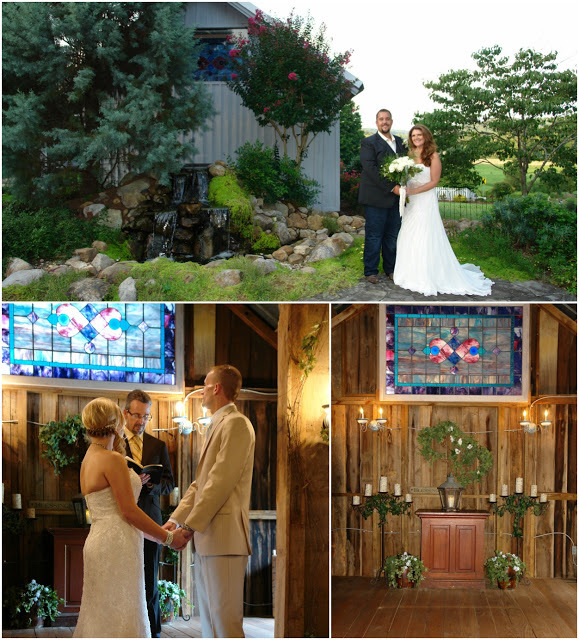 The wedding chapel is able to accommodate up to 45 people, which is perfect for a small, intimate ceremony in front of your family and friends. Our main special event building is obviously a barn from the outside, but don't expect a big empty space where you would keep livestock past the front doors. On the contrary, the inside will take your breath away. The Lewis Barn was originally built in 1929. Since then it has been completely renovated, yet still retains a feeling of tradition, history, and enchantment. You can comfortably entertain up to 100 guests in this quaint reception venue. It is fully equipped with restrooms, a kitchen and serving area able to accommodate your catering needs, and an open seating area capable of a variety of table setups. 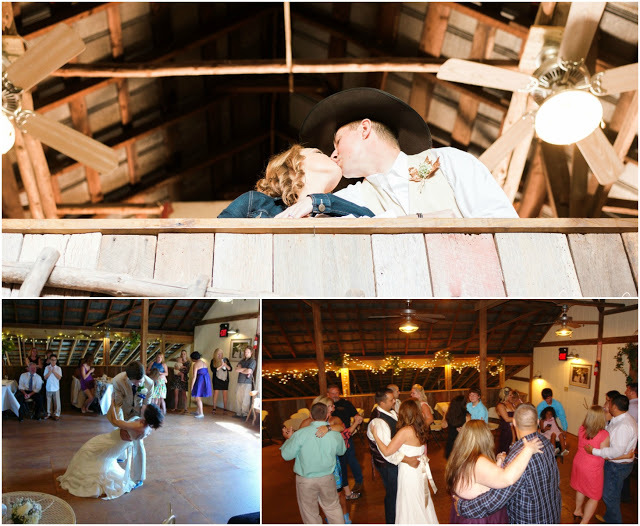 The old hay loft adds a unique and fun area for entertaining your guests, as well as a wonderful spot for photographs. 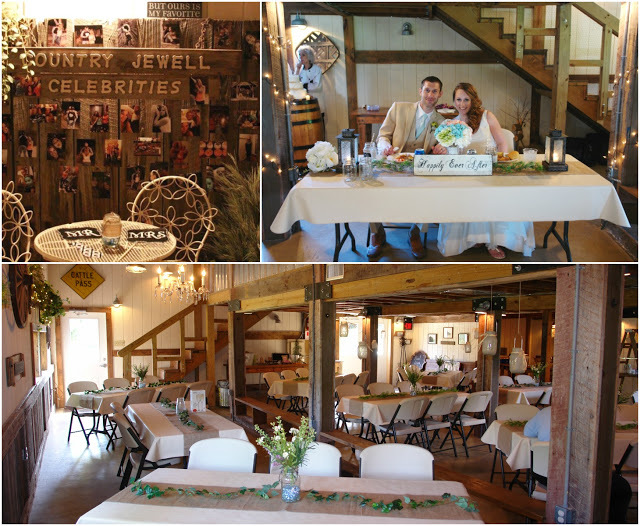 Country Jewell is the ideal rustic wedding venue near Knoxville for small events of 100 or fewer guests. Words and pictures give you the initial facts you need, but to truly understand what a magical place Country Jewell is for hosting your next special celebration, you need to see it in person! Give us a call at 865-494-0552 and set up a time to pay us a visit and see everything for yourself. We believe you will love it every bit as much as we do, and we can't wait to see your happy celebration take place here!